So, I used to have an uncle named Steve. Steve wasn’t much of an outdoorsman, but he loved to camp. He wasn’t much of an explorer either, in fact he couldn’t navigate around without a flashlight and he carried one everywhere he went, especially when camping. He’d bring a 12 pack of batteries with him every time we went camping, and he’d make sure to check the batteries in his flashlight every morning. My cousin Reggie and I were trouble when the two of us got together, and we had the bright idea of putting some dead batteries in Uncle Steve’s flashlight one day, just to mess with him. Well, wouldn’t you know it, that night at dusk, Uncle Steve left the tent to go find an outhouse, grabbed his trusty flashlight (the one with the dead batteries), and was never seen again. Needless to say, poor Reggie’s never camped—or been the same ever again, even after he sunk all that money into therapy. I guess what I’m trying to say is batteries are really, really important. So, how do you know when to change your car battery? Sadly, like Uncle Steve, batteries have a finite amount of life before they go to that big auto wrecking yard in the sky. Since the days of Fred Flinstone pounding the pavement with those big meaty paws of his, or having a valet crank start your engine so you could leave one of Fitzgerald’s depressing parties, car batteries have been an integral part of starting your vehicle. They help provide the power to the electrical components of your vehicle, as well as keeping a steady electrical current. Sadly, they aren’t built to last forever, and I’m sure many of us have experienced that sinking feeling in your stomach when you’re running late for an important meeting and your car refuses to start because your battery is dead (perhaps it’s a by-product of Uncle Steve going missing, but I always keep jumper cables and a spare car battery just in case). But why let it get that far? Why not be proactive and replace your battery before it results in you being late—or worse? First, you’ll need to figure out when it needs to be replaced. The life expectancy of a battery is anywhere from 3 to 6 years, and it depends on a number of factors, including your vehicle type, your driving habits, and even weather conditions (spoiler alert, an 8 month winter isn’t doing your battery any favours). There’ll always be warning signs whether literal (your check engine light could indicate a problem with your battery), to physical (a swollen battery case, or a rotten egg sulfur stink), to straight up ominous (millennial levels of apathy coming from your engine crank when you start the vehicle). If your battery is over three years old, or you experience any of these symptoms, it’s time to get your battery checked! It’s a sad reality, but the only thing guaranteed in a battery’s life is death and charges.  Don’t let your battery’s death bring you down—come by Team Ford and we’ll get you set up with a new battery, as well as dispose of the old one for you. Just make an appointment, or swing by our Quick Lane service department. Keep your eyes and ears (and nose peeled) for any of the warning signs, and avoid having your vehicle die (at what will probably be the most inconvenient time). So learn from Uncle Steve’s disappearance, and keep those battery experiences positive.